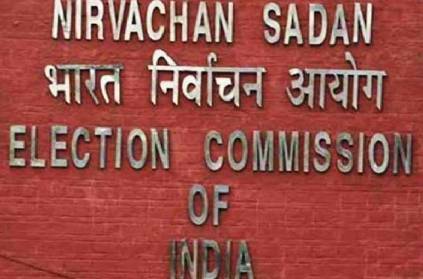 A visually impaired assistant professor, K. Raghuraman from Nandhanam Government Arts and Science College, had reached the poll training centre at Villivakkam on March 24. however, due to lack of proper assistance, he had to leave the venue halfway through the training session. According to TOI, Raghuraman has said, "Not even a help desk was available. Other officers also did not help me in identifying the training room." As per Election Commission guidelines, training centres should be inclusive and accessible to all persons with disabilities. However, the building had no ramps or other facilities required. On March 30, he has received a notice for not attending the training. When TOI asked, commissioner G. Prakash said, “It’s a system generated list. We have to maintain strict standards as it involves engaging 20,000 people in these job" and that he will look into the issue. நம்ம விஜய் பட ஸ்டைலில் நடவடிக்கை எடுக்க தயாராகும் தேர்தல் ஆணையம்! அட அப்படி என்ன நடவடிக்கை? ‘மாணவர்களுக்கு லேப்டாப்.. தமிழ்நாட்டுக்கு செயற்கைக்கோள்’.. அனல் பறக்கும் அமமுக தேர்தல் அறிக்கை! This page contains news relating to various facts and events. The views are generally about current affiars and general topics in diversified areas such as political, international, national, and regional issues, sports, health, travel, lifestyle, technology and business. People having similar interets on the above topics will find this page useful. Visually impaired man humiliated during poll training | Tamil Nadu News.